The social conversation around C2 Montréal in 2016 broke all sorts of records. We trended worldwide on Twitter for most of day one, had over 20,000 mentions, and reached over 50 million people. Our Snapchat filters were used by over 700 people and seen by nearly 40,000! But more than numbers, we really felt that people were engaging and having great conversations online around the content coming out of the talks and interactions at the event. And even better, that conversation has continued throughout the year. So, from our #C2SocialSquad to livestreaming, whether you’re at C2 or at home, here are all of the ways that you can participate in being part of the online celebration of what we’re discovering together at C2 Montréal. Last year, we assembled a team of 12 amazing people for #C2M16, but afterwards we realized that there was just so much going on that the team needed to be bigger and covering more. So this year we assembled 36 amazing people, all with over six years of experience, to push out social posts during the event. We have a former MusiquePlus VJ, a few agency executives, a professional soccer goalie, a Facebooker, people who run iconic Montréal transportation social accounts in their day job, journalists and more as part of the squad this year. Their cumulative experience is over 300 years! They will be live-tweeting highlights from all of the talks, capturing special moments from behind the scenes, interviewing participants and partners, and covering the entire ground from morning until night from both C2 Montréal handles as well as their own. #C2Braindates – to see who’s meeting who for meetings of the mind at the e180 Braindating Lounge presented by Vidéotron. …if you are interested in only following specific conversations. 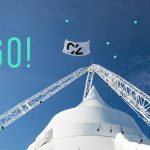 Also, don’t forget to follow @C2Montreal (in English) and @C2Montrealfr (en français) for official updates from Twitter. By popular demand, the Snapchat filters are back! 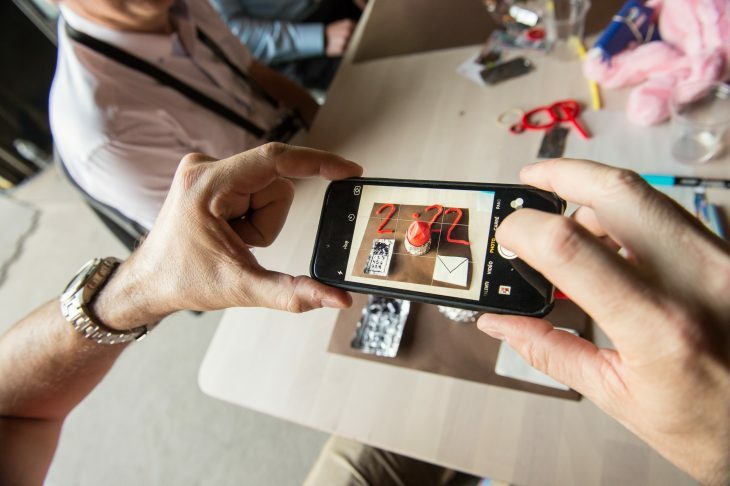 There are filters for individual installations this year, so you can give your followers a sense of what you’re participating in. 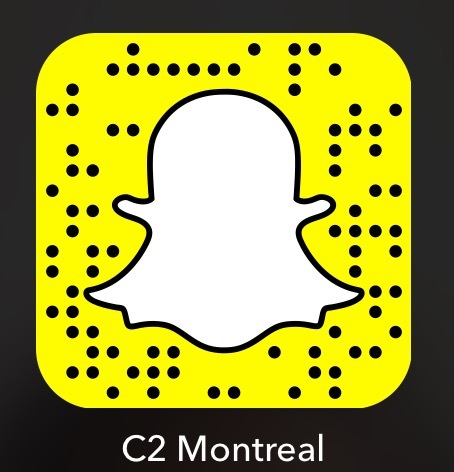 For those unable to attend (they’re geo-filters, so can only be accessed onsite), follow C2Montreal (take a snap of the code above) on Snapchat for our daily stories. You want livestreaming? We have many flavours! If you’re bummed that you can’t make it to C2 this year and are feeling a little FOMO, no worries, we have you covered. There will be many, many livestreams available for your choosing. 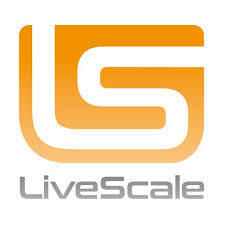 We have the pleasure of working with Livescale.tv this year, which is allowing us to push several different livestreams out each day. 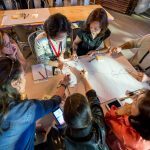 The first one, published to YouTube, is a 360 view from the middle of the Aquarium, where interviewers will be speaking with exciting speakers such as Steve Wozniak, Jade Raymond and Dror Benshetrit throughout the event. The YouTube stream will be continuous throughout the entire day – from 8 am to 7 pm (and 8 pm on Friday) – and will put you right in the center of the action. On Facebook, we’ll be livestreaming select individual interviews throughout the day and announcing these interviews on Twitter with a link to view on Facebook. These interviews will be streamed intermittently from 8 am to 5:30 pm. Follow our page on Facebook for updates. On Periscope, we’ll be streaming live from the RBC One Drop Balcony on May 24 (11 am to 6 pm), where they will be focusing on five key topics as they relate to watershed protection: Celebrate, Indigenous, Big Data, Behaviour and AI. If you want to follow along, join the event here. We have a lot of different communication channels for you to participate in or even just follow along with, so you can pick your favourite. For those of you joining us IRL, we have a special surprise for the most prolific social media participants. And for those of you joining us online, we hope you feel like you’re with us and hopefully we’ll see you in 2018!